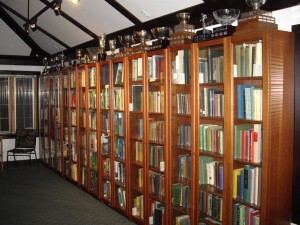 Relax and visit the Library, packed with more golf stories and related information than you can imagine. Books on instruction, fiction, art, humour, anthologies, reference, biographies, club histories, architecture, turfgrass, as well as video – the library is a quiet place where you can really “study the game”. With several thousand volumes, plus thousands more periodicals and magazines, the library is the perfect spot to do some research or just enjoy some quiet reading on your favourite aspect of the game……….we even serve coffee or tea! Choose from a wide selection of videos and watch them in comfort; instructional, general interest, golf courses of the world, and some of the greatest tournaments in history. The Museum provides resources for research and education and encourages individual clubs to investigate and present their history and records. It also promotes an active interest in golf, recognizing the achievments of BC golfers and others who have contributed to the development of the game in the province.